Video. Guerrilla geographer Daniel Raven-Ellison packs a spirit of adventure into education. Emerging Explorer and guerrilla geographer Daniel Raven-Ellison packs a spirit of adventure into education. This video was filmed on Wednesday, June 13th at the 2012 National Geographic Explorers Symposium at National Geographic Society headquarters in Washington, D.C.
Could you cross a forest without touching the ground? What would you see if you walked through your entire city taking a photo every eight steps? 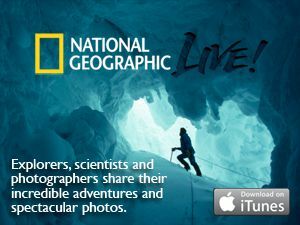 This is geography for National Geographic Emerging Explorer Daniel Raven-Ellison. He's using films, books, websites, and walks to take geography far beyond memorizing dots on a map, challenging children and adults to experience every aspect of the world around them in a more meaningful way. For Raven-Ellison, the road to adventure is "guerrilla geography": daring people to challenge preconceptions about places; engage in social and environmental justice; and form deeper, more active community connections. having to do with warfare conducted by organized groups of civilians, not soldiers or the military. geographic area that can be specific, like a parking space, or infinite, like outer space.